Paya Lebar is known to be happening again due to the revamp of SingPost Centre. 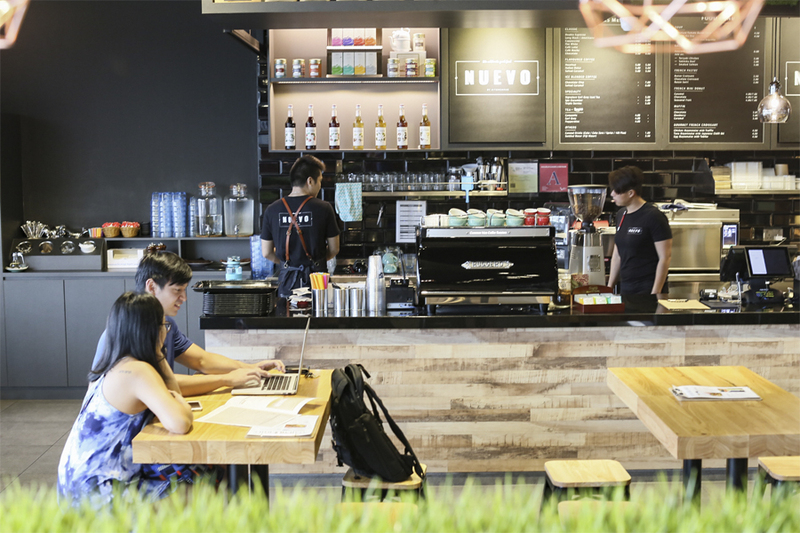 While café hoppers may not always venture to this part of Singapore, let me direct you to Nuevo Café. 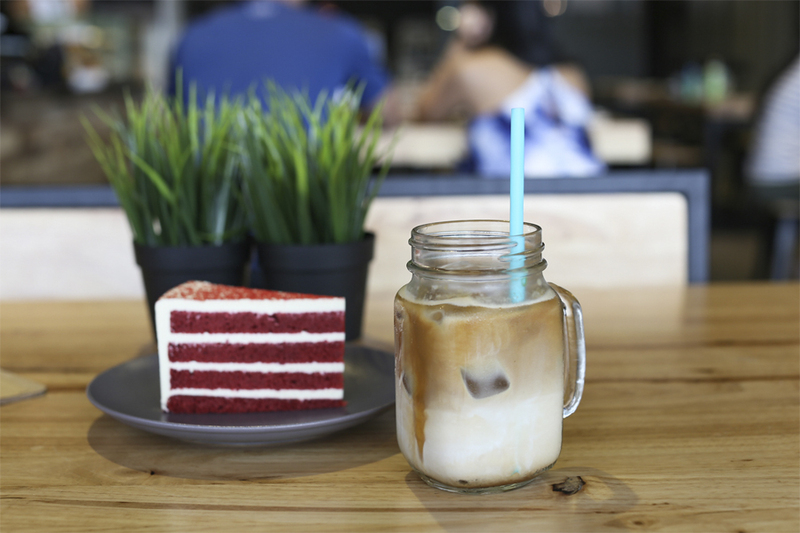 Located at 115 Eunos Ave 3 where the building is occupied with a gym (my gym actually, Genesis Gym), an Adam Khoo Learning Centre, Wushu Martial House, Nuevo Café is a hidden gem at the ground floor where not many would know about. 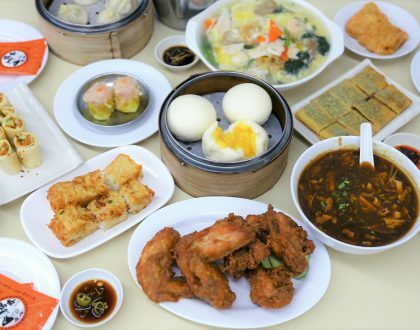 It is actually not that far a walk from Paya Lebar MRT station. Through the park-connector, getting there is about to a 7 to 10 minutes’ scenic stroll. 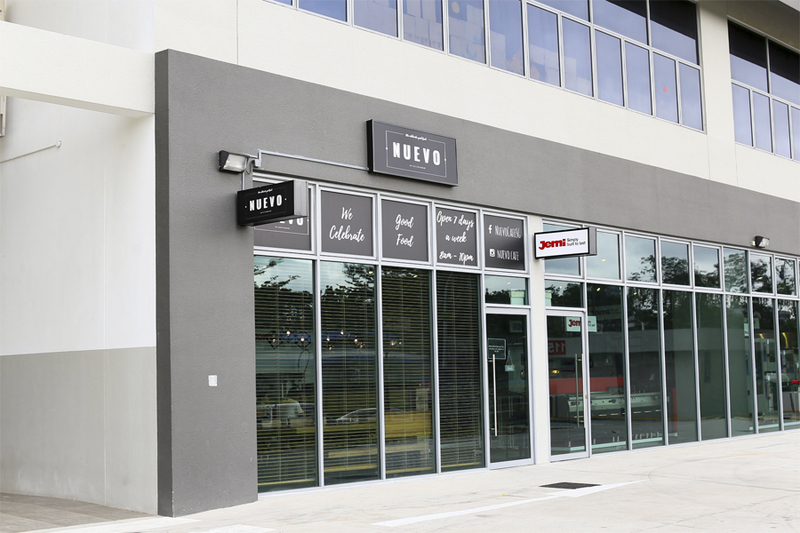 You will find the café right next to Kitchenhub, a commercial kitchen equipment showroom. Hmm… interesting. The two are related, and you can actually take a ‘tour’ to view the equipment used in the professional kitchens. 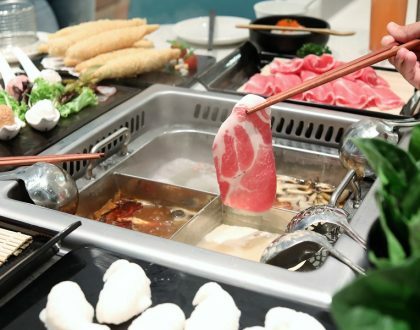 Those cooking equipment are also used to churn out the food served in the café. 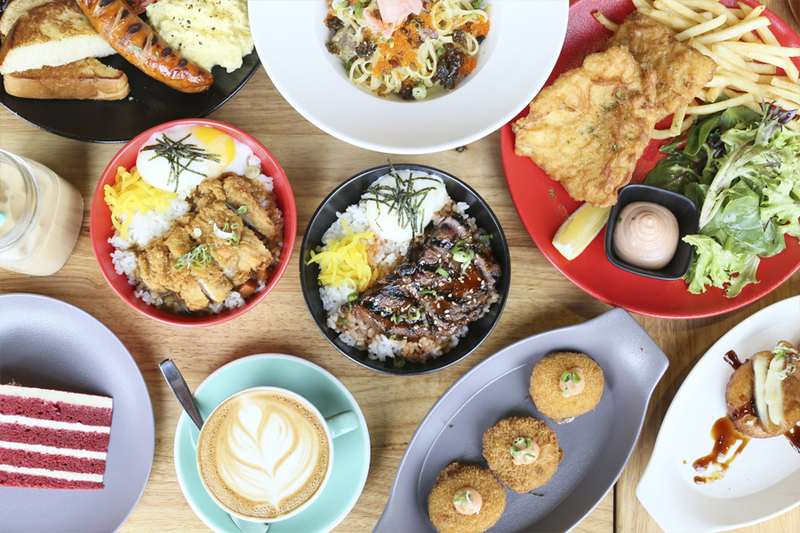 Food wise, Nuevo Café serves up all-day breakfast, brunch favourites and rice bowls with a Japanese twist. Good to know that all prices are inexpensive, with no additional service charge. 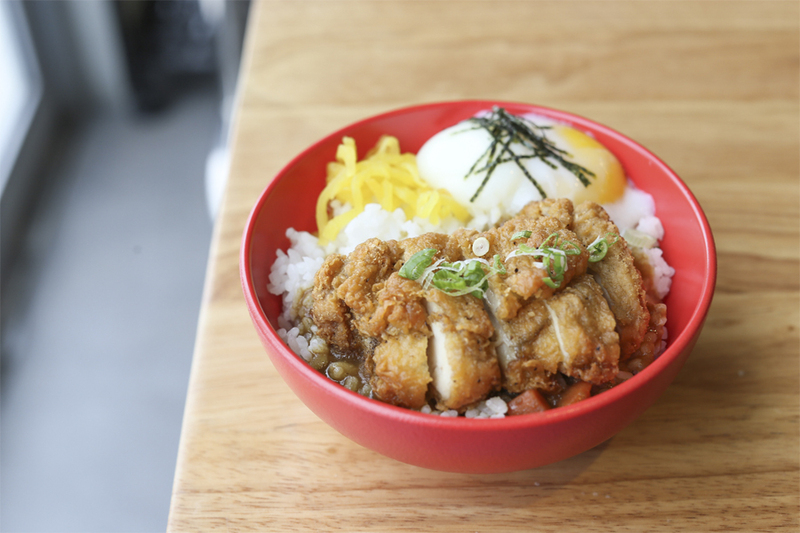 $8.50 Japanese Rice Bowls is very affordable! 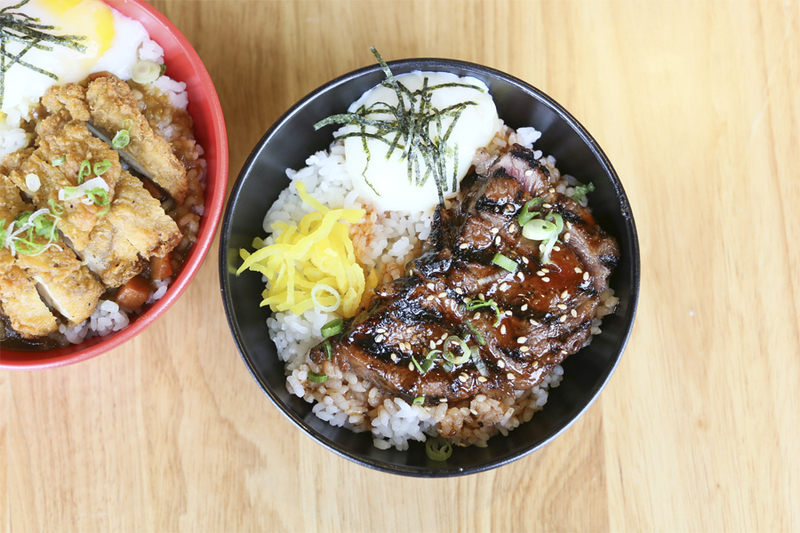 For a protein fix or a fuss-free meal, you can go for either the Yakiniku Beef Striploin or Teriyaki Chicken. Both are served on a bed of Japanese rice, topped with pickles and sous vide egg, sprinkled with sesame seeds and roasted nori. The beef used for the Gyudon was grilled quickly and cut thin, giving the pieces a layer of even char and tenderness. I do think they could up slightly on the sauce element, or provide a dip as an option. 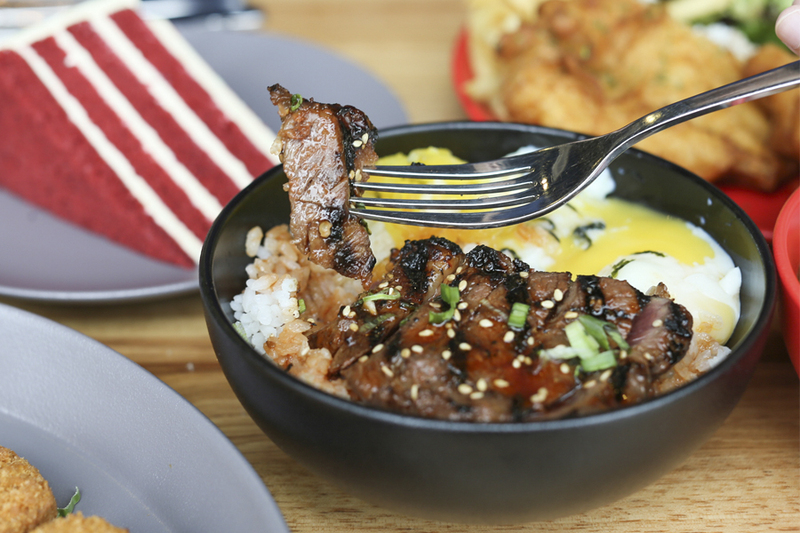 On Weekends, they serve the beef bowl as well, but using the ribeye cut instead. 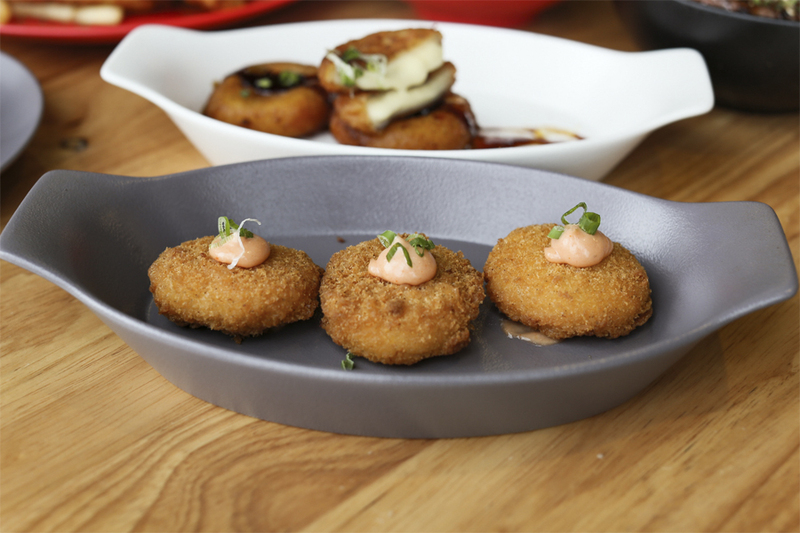 Chicken thigh meat is used for this bowl so that it would remain succulent after being deep-fried. The Japanese curry was on the sweet side, and would please those who are not looking for a spicy finish. While salted egg yolk dishes are still in the rage, CENTURY EGG is certainly out of the ordinary. I had them with congee, sometimes fried rice, but never with pasta. The Nuevo chefs “were bored with salted eggs” and thought they should pimp it up a little with the use of pi dan. Interesting, the yolk of the century eggs are used to add the intensity of the cream base. So while the mouthfeel was almost like carbonara, there was this subtle yet distinct century egg taste and creaminess within. Quite aesthetically pleasing as well, plated like a Japanese-inspired pasta dish. 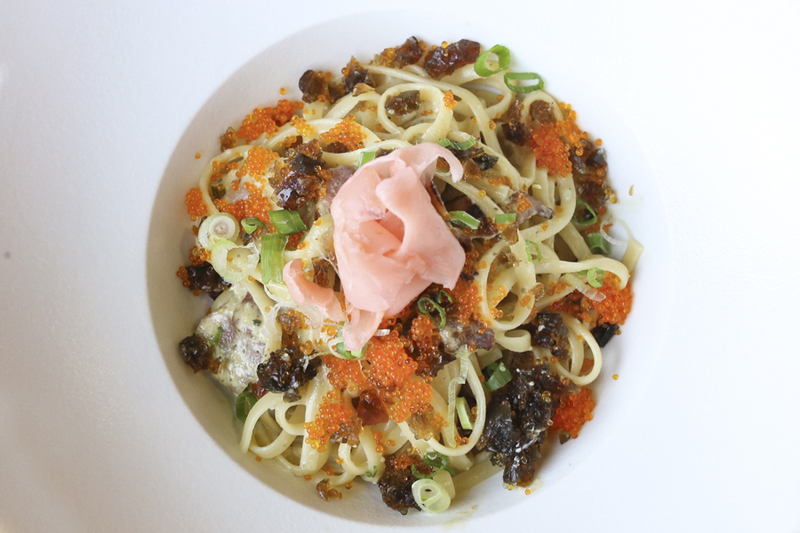 Other pasta dishes you can look forward to include the Seafood Sake Linguine ($8.50) with prawns and Japanese clams sautéed with sake; and Mentaiko with Bacon Linguine ($8.50). 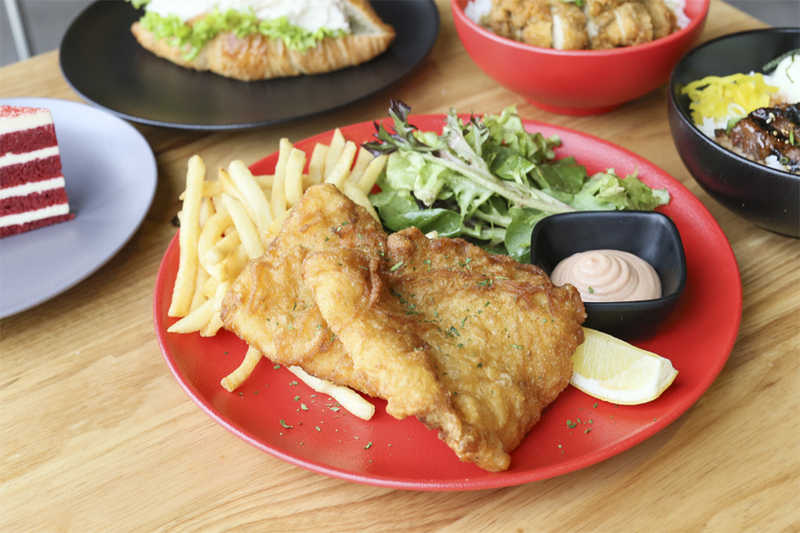 The refreshing and crisp Asahi Beer is used for the fish and chips. As the Japanese beer is known to maintain its high bubble density, it is a good choice to add body and lightness to the batter. Therefore, you would still find the outer layer crisp, even if it is left out for a while. Another highlight would be the options of sauces, with four to choose from – Mentaiko, Truffle, Wasabi or Maple Mayonnaise Dip. While Mentaiko seemed like an obvious choice for fish, I liked the less commonly used Maple-Mayo which lent some unique sweetness. 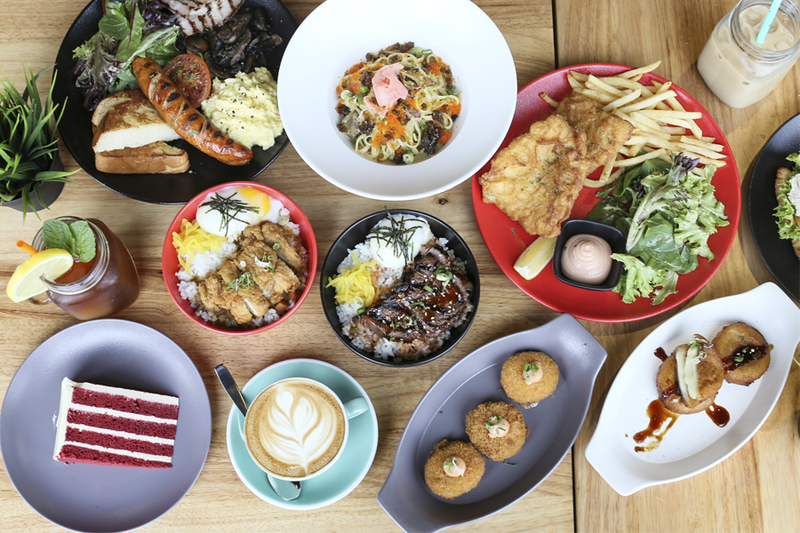 For starters, there are family-favourites of Chicken Karaage ($8.00), Mac and Cheese ($8.00), Sweet Potato Fries ($8.00), and Shoestring Fries ($8.00). All the starters are available daily. However, I was most intrigued by the Japanese sweet corn and mashed potatoes, deep fried and topped with Mentaiko mayonnaise. Potato Mochi ($8.00) is not commonly found in Singapore’s cafes. 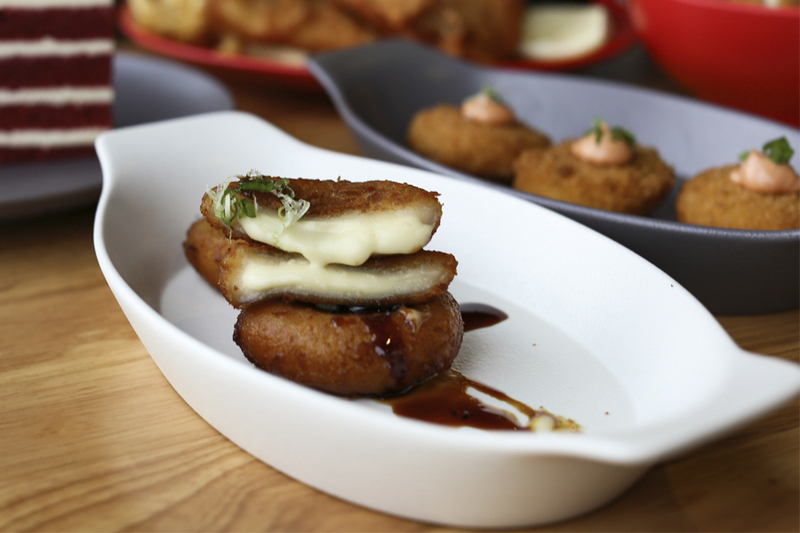 What you get are mashed potatoes filled with camembert cheese, deep fried then glazed with teriyaki sauce. The most fascinating part is when you bite into the centre, where you get that chewy rice cake textured filling. 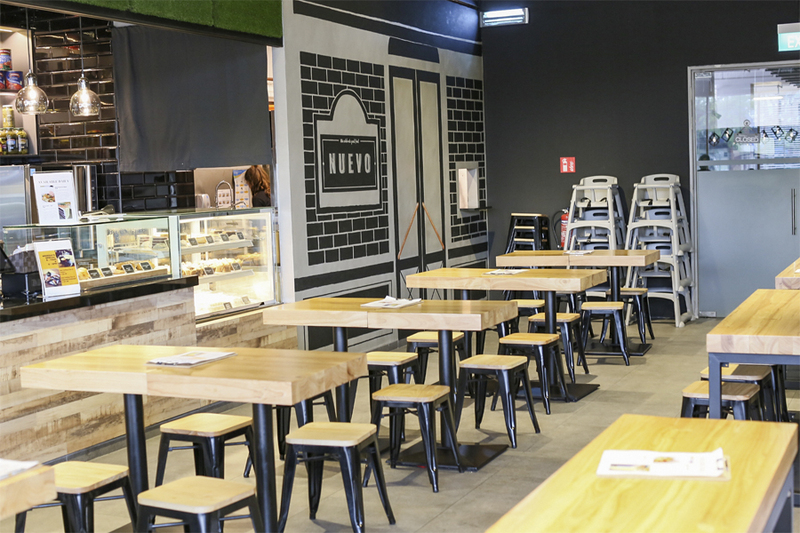 Nuevo Café offers slightly varied menus for the weekends, which has a more ‘brunchy’ take. 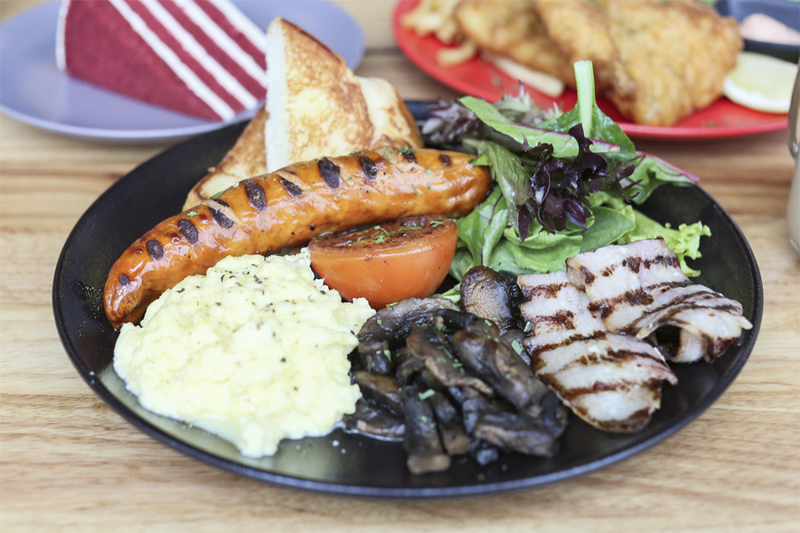 Offerings include Eggs Benedict ($14.00) – with use of mirin in the hollandaise sauce, Eggs Royale ($14.00), Norwegian Salmon ($16.00), Burnt Honey Grilled Chicken with Chicken Cheese Sausage ($14.00) and newly introduced Bangers and Mash ($14.00). 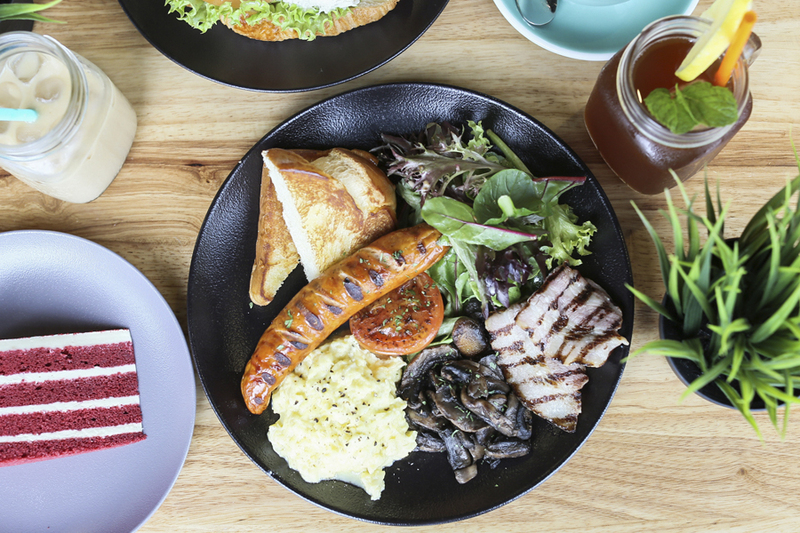 The safe choice would be the Full Breakfast ($16.00) of scrambled or poached eggs, served with grilled bacon strips on toasted brioche, with grilled tomato, grilled chicken cheese sausage, sautéed mushrooms and mixed greens. I particularly liked the juicy, jumbo cheese sausage. 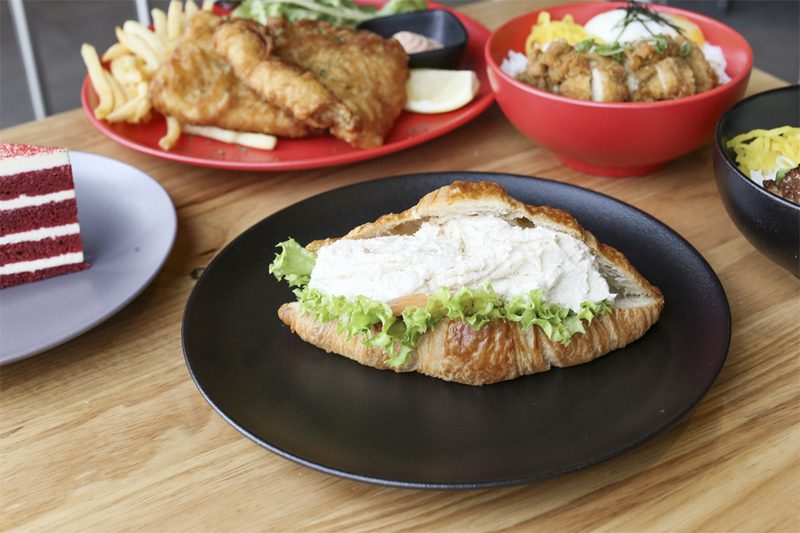 One of the best-selling items is the French-imported buttery croissant, filled with housemade filling of chicken mayo with truffle. At this price with this generous amount of filling, I say it makes a great breakfast item or after-gym pick-me-up. There is also a selection of drinks, starters, pastries and cakes. Coffee is served using the Lucky Basterd blend from Common Man Coffee Roasters (vibrant fruit forward cup); and Tea by Ronnefeldt which is usually exclusively available to hotels. While getting to Nuevo Café may be slightly out of the way for some, I liked the humbleness and homeliness of its vibes. 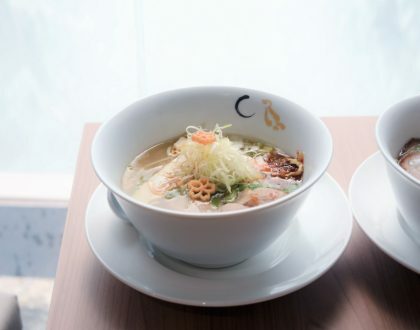 Even when many café items are priced high in Singapore, they managed to keep its menu wallet-friendly while using quality ingredients such as Japanese sauces. Time to head east. * This entry is brought to you in partnership with Nuevo Café. For the price of $8.50 (after tax $9.10), the portion at Nuevo cafe is too small. The yakiniku beef is tough and has the chard to chew muscle part.